Saving money is always a top priority for families, and reducing how much money is spent on heating bills can be a big help. When you use a traditional masonry fireplace to heat your home, it can be more expensive than you may think because the majority of the heat it produces escapes out of the chimney. Bart Fireplace can help you heat your home more economically with a wood stove insert. This heating appliance can be installed in the space of your masonry fireplace to greatly improve the heating efficiency in your home. We would like to tell you more about the benefits of wood stove inserts to help you decide if this update is right for your home. Many people believe that burning wood can be harmful to the environment because of the emissions produced by traditional fireplaces. However, new technology has allowed for wood stove inserts to emit fewer pollutants. Most of the models you will find at Bart Fireside have been approved by the U.S. Environmental Protection Agency (EPA) for their efficient and clean wood burning. Not only do wood stove inserts produce fewer emissions, but they also reduce the amount of creosote that develops during the combustion process of burning wood. Creosote is an extremely hazardous compound that is responsible for the majority of chimney fires. Highly flammable, large deposits of creosote can easily ignite if the internal temperature inside your chimney gets hot enough. Since fewer amounts of creosote are produced by wood stove inserts, you will not have to worry as much about this fire hazard. Because of its high efficiency ratings, a wood stove insert can heat your home more economically than your masonry fireplace. You will not have to worry about heated air escaping out of the chimney. You can see a reduction of up to 40 percent in your heating bills. Most models are equipped with fans that will circulate hot air throughout the room to provide even more heat. Wood stove inserts are also very powerful and can heat areas up to 3,200 square feet. Want to know more about the benefits of wood stove inserts? 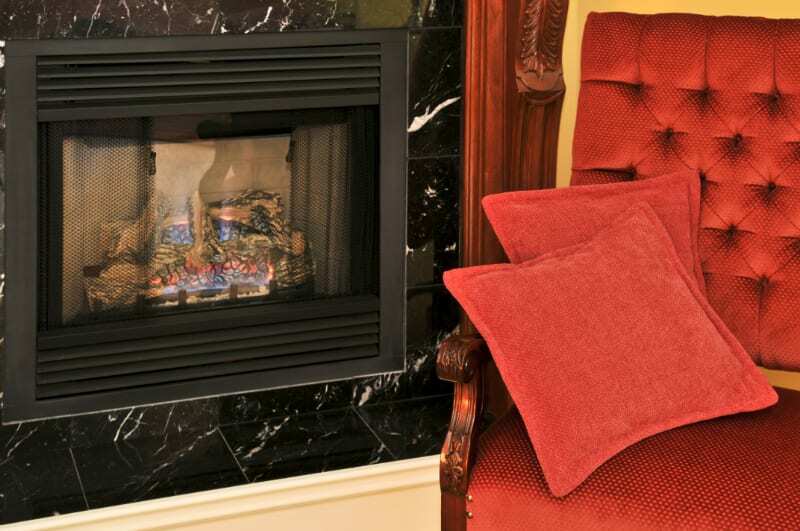 Contact us at Bart Fireside to learn how to heat your home more efficiently and economically.